Bananas are both sweet and nutritious. Since bananas come neatly packed in their own wrapper, they are very portable. They may be eaten in their whole form, sliced into fruit salad or mashed and added to muffin and bread recipes. A banana averages about only 110 calories. Frozen bananas can be added to smoothies in place of yogurt or ice cream. 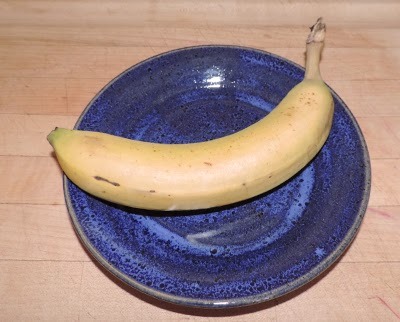 A serving size is one peeled medium-sized banana, about 7 inches long. By eating a banana you can Indulge your sweet tooth without ruining your diet. Oma has recently discovered DOLE Banana Dippers - the goodness of bananas comes together with the rich, indulgent taste of dark chocolate! 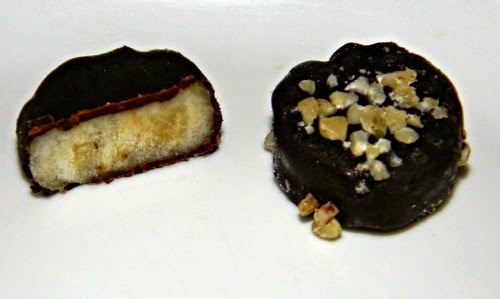 DOLE Banana Dippers are fresh frozen banana slices covered in dark chocolate. Each individual pack contains 4 slices, at aproximately 100 calories per pack. You simply pull these treasures from your freezer and enjoy anytime, anywhere! Since Oma is Lactose intolerance the DOLE Dippers are a perfect snack for her.